Marcus Rashford, may already be a superstar at Old Trafford, but manager Jose Mourinho may never use him in his conventional striker role. Club legend Ryan Giggs believes that Mourinho will always give an edge to Romelu Lukaku when it comes to who operates as the main striker. 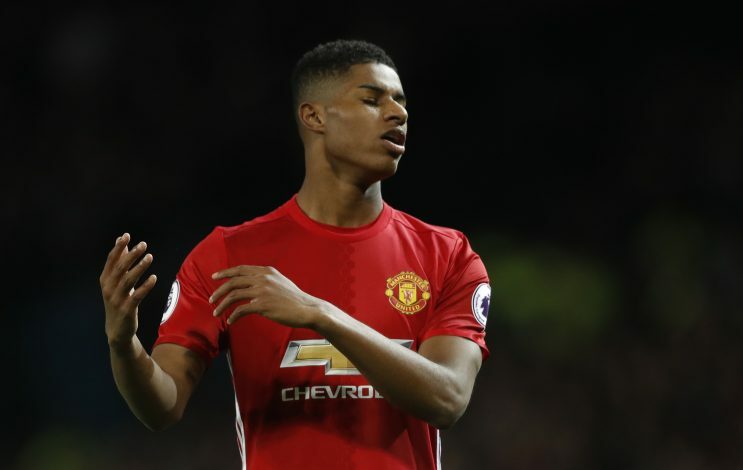 Even though Rashford’s chances of playing in his favoured centre-forward role seem very slim, the 19-year-old has been mesmerizing on the wings. Furthermore, Mourinho likes the Englishman, but it is highly unlikely that the Portuguese would allow his feelings to influence United’s front-line. It was further added by Giggs that with Zlatan Ibrahimovic set to return soon from his long-term injury, the young forward could get further pushed down in the list for the central striker’s role. The Red Devils’ legend also claimed that even for England, Rashford will be second fiddle to the more preferred Tottenham striker Harry Kane. While speaking on ITV, Giggs said: “Yeah that could be a problem for him. Like you say, he’s not going to play centre-forward of United too often with Lukaku, Ibrahimovic as well. “For England with (Harry) Kane, he’s not going to play centre-forward. He can definitely play out wide, but eventually he’s going to be a No 9. I see similarities with Thierry Henry myself, he’s brilliant off the left.